If you are a couple or family of four, this Pinnacle fifth wheel is perfect for you! 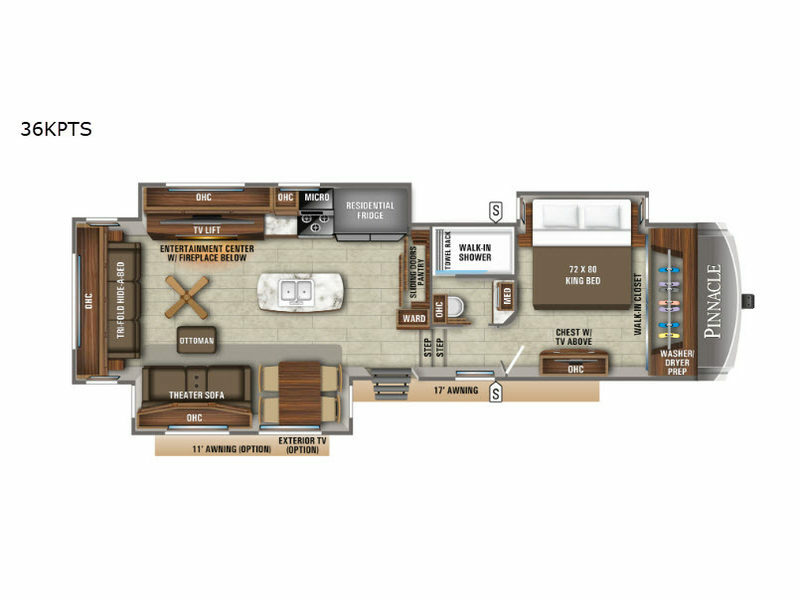 This model delivers a luxurious sleeping environment with a front master bedroom that contains the Jayco-exclusive luxury sleep system, a 32" LED HDTV, and a walk-in closet. 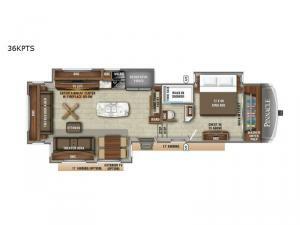 Every night you will be able to rest in a large living and kitchen area thanks to the two opposing slides that add extra space for wonderful additions like the tri-fold sofa bed, ottoman, and entertainment center with a retractable TV. You will also find plenty of storage throughout this model, especially inside of the walk-in pantry with sliding doors.